It’s hard to miss all the work that’s taking place off Titan Road. Sterling Ranch is beginning to take shape! So what are you seeing off Titan other than a lot of dirt being pushed around? 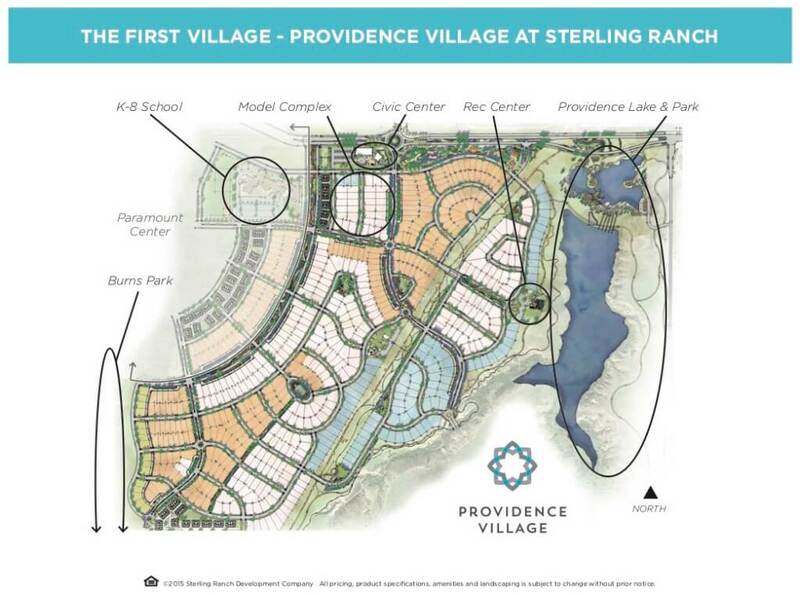 You are seeing the development of the first of nine villages that will make up Sterling Ranch – Providence Village. At the end of last year, Sterling Ranch announced that five homebuilders purchased 90% of the Providence Village home sites. You can read more about the announcement in a previous blog post. On March 1, 2016, Sterling Ranch announced that an additional 58 home sites were purchased by Wonderland Homes and 12 home sites were purchased by Parkwood Homes. Wonderland Homes will offer energy efficient, smart homes with character while Parkwood Homes will build traditional American homes with charming details and customizable floorplans. Yates also said that actual construction of the homes will begin in the second quarter of this year. Additionally, new home models will be available to view in late third and early fourth quarter of this year. If you are interested in learning more about one or more of the nine builders, please visit the Sterling Ranch website and complete a short inquiry form or, call 303- 503-6677. Sterling Ranch will include 12,050 homes for about 31,000 new residents within nine unique villages. The total build out will take about 20 years. I am not welcoming the 30,000 new residents to our community to clog our roads and shopping, trails and parks. Build this mega village somewhere else! Is there any timeline to expand Titan Road or is the plan just to tear it up so that we have to crawl into and out of here for the next 20 years behind their oversized trucks? PLEASE ask Sterling Ranch some questions for us because we all know it’s going to get worse. Their answer to me was “it’s the county’s job to fix or expand roads.” So they can make millions and tear up the one road into and out of their gigantic new subdivision but there are no plans to actually accommodate a single new resident traffic wise????? Sterling Ranch is working on updating their website to include information about traffic impact.